Promotes natural healing, reduces joint and muscle discomfort and faster muscle recovery. 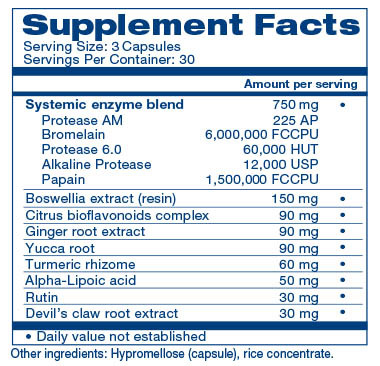 Fights off free radical damage and supports a healthy immune response. HOW CAN Heal-n-Soothe ® HELP? 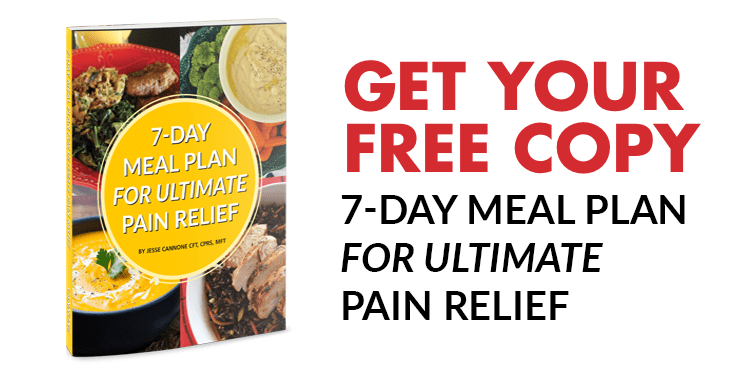 This pain-fighting miracle provides lasting relief without potentially dangerous or toxic chemicals or side effects. Heal-n-Soothe® combines powerful natural pain defenders that work synergistically to quickly douse aches and soothe niggles throughout the body. Featuring incredible systemic enzymes and potent pain-fighting nutrients, Heal-n-Soothe® offers a powerful pain defense formulated with the healing gifts of mother nature. Heal-n-Soothe® is formulated to be the strongest and highest potency proteolytic enzyme formulation available, and it is the only natural Systemic Proteolytic Enzyme formulation that has no dangerous fillers or preservatives. Research indicates these enzymes work throughout your entire body to help it break down and eliminate the excess proteins that accumulate at the scene of an injury, irritation, or burn. Since its discovery in 1957, bromelain has been studied extensively and shown to support a healthy immune response and promote the removal of damaged tissue 2. These activities are believed to have a direct influence on the temporary relief of minor pain. This extract is taken from the dried root of a plant used in natural remedies to relieve a wide range of ailments for thousands of years. In fact, research finds that turmeric may be safer and more precise than other options when it comes to maintaining healthy levels of the COX-2 and 5-LOX enzymes associated with pain. 3 In addition, turmeric's widely recognized antioxidant powers work to support your body's ability to defend itself from damaging free radicals. These nutrients aid in the absorption of vitamins and act as important antioxidants. Citrus Bioflavonoids supports healthy levels of collagenase and elastase, the enzymes responsible for the breakdown of connective tissue. 10 In addition to protecting connective tissues, they also help to protect against free radical damage. 2Evid Based Complement Alternat Med. 2004 Dec; 1(3): 251–257. 3Foods. 2017 Oct; 6(10): 92. 4J Immunotoxicol. 2016 Jul;13(4):590-602. J Biomed Biotechnol. 2010; 2010: 197898. 6EXCLI J. 2015; 14: 59–63. 7J Inflamm (Lond). 2006; 3: 6. 8Integr Med Insights. 2016; 11: 11–17. Arthritis Rheum. 2001 Nov;44(11):2531-8. 9Phytother Res. 2012 Jun;26(6):806-11. BMC Complement Altern Med. 2004; 4: 13. 10Journal of Biomaterials and Nanobiotechnology, Vol. 4 No. 3, 2013, pp. 279-283. Mom Of 4 Ditches Her Liver-Damaging Celebrex For Heal-n-Soothe® And LOVES The Results! "I've had orthopedic problems since I was 7 years old. I figured up that over the last 31 years (I'm 38 now), I've had a total of 14 surgeries---6 of them knee surgeries and 1 foot surgery---plus a broken pelvis and sprained SI joint from a past car accident. I have now been taking Heal-n-Soothe® for 30 days, and I feel the same as I did while taking the double dosage of Celebrex. I have hope that after more time on Heal-n-Soothe® I will feel even better---and I like that right now I'm getting at least the same, if not yet better, anti-inflammatory effect from natural enzymes, rather than from a chemical that could potentially harm my liver." WOW! Huge difference! I stopped taking painkillers! "The first day I took Heal n Sooth I noticed a difference the next day and by the time the bottle was gone I was suffering very little pain. This is the kind of product that the health care system needs to adopt in treating such problems as aches and pains of inflammatory caused problems instead of the big pharma poison. Heal n Soothe is an amazing product and it treats the problem not only the symptoms. "It's like a wish come true." "Heal-n-Soothe has helped me live a vibrant and active life"
I would first like to take the time to start out by thanking God for directing my path to the HBI website. For the last couple of years I have been dealing with pain in both knees, to the point that I even went to the emergency room 2 years ago because my left leg swelled and the pain was unbearable. I had an ultra sound to rule out any blood clots. The end result was inflammation and arthritis. I definitely did not want to take prescription meds so I stayed off my feet and iced. I admit I took aspirin and did get some relief but I knew I could not stay on aspirin. I changed my diet and added turmeric 750 mg 2x a day. I went for a follow up with my doctor and needless to say she was upset I went to the ER and told me to take another OTC twice a day. I couldn't believe she wanted me to take that. I will say she did have me take some connective tissue supplement that I did not see much results. The following year my right knee was hurting to the point I just didn't want to move because I was in so much pain. I decided I would go to the orthopedic doctor who did some laparoscopic surgery on that knee about 15 years ago. He took X rays and said its arthritis and wrote out a prescription. I took the script and tore it up. I iced and took aspirin. I started doing some research and I realized the pain I was having in my right knee was more like tendonitis. I went on youtube for hints on how to do some physical therapy. I did find some helpful techniques, in the mean time I used heating pads, all kinds of rubs, and just kept moving. I couldn't sit for any length of time before I just got stiff and it was hard to get moving to be sedentary. I lead a very active life so every chance I would get to do research on Gods giving planet that provides for our needs with natural herbs I would be looking. I saw many herbs that I could use but I would have a counter pack of herbs and not knowing how to mix them together. I just prayed there was someone out there that God had given the talent to get it all in one capsule and low and behold during my research the product Heal and Soothe popped up. I read Jesses story and I had nothing to lose but pain if it worked, it was a money back guaranteed what have you got to lose. I received Heal and Soothe and I started taking it right away that night. I took 6 pills that 1st night and in the morning took 3 more. I did that for one more day and the results were remarkable. I have been feeling so good and I take 3 pills every morning when I wake up. I can truly say that Heal and Soothe has been a God send to me. I read the newsletters I get and it's great to see how many people want to live a potential drug free life. I'm not against medicine but I always look for alternatives. I tell everyone I know and meet that complains about pain that Heal and Soothe has helped me live a vibrant and active life. I have bought some other products such as the rub for those days I really push myself and to share it with others. I could go on and on but I will let you be the judge for yourself. Thank you Jesse for pursuing a natural way to health. PS: Just received my blood results and I was tested for inflammation, I am happy to report there are no signs of inflammation. My doctor said everything was spot on. Because of the variability in sources of natural and or plant parts including (roots and rhizomes) the color, texture, and odor may vary from batch to batch. However, the formula remains identical and quality is ensured with both in-house and 3rd party testing. The short answer is no, you do not have to think like you need to start over if there is a gap in taking enzymes and there is not a weakening of the effects... The longer answer is that enzymes work in the moment but the benefit is compounded over time, as enzymes do not mask the pain but rather, help restores balance to the natural way our body's work, in how it deals with supporting the body. The enzymes can help the body break down excess fibrin in the moment, in fact, once you take the enzymes they are done doing what they do and are out of your system within 24hrs but the benefit is ongoing as once that fibrin is gone it is gone for good. Now if there is a gap in taking enzymes, there is only a delay in how much more work the enzymes can do during that gap, which is different than thinking that all is lost and you need to start over. All of the ingredients in Heal n Soothe are “Blended, Encapsulated and Tested in the USA and the ingredients are sourced globally” ALL supplements offered by The Healthy Back Institute adhere to FDA Rule 21 CFR 111. This is a set of guidelines called the Good Manufacturing Practices. They address the manufacturing and handling of dietary supplements intended for human use. They are intended to make sure the supplement is safe and you get what is advertised and nothing else. The product does not go out the door unless the product passes all of the required testings... Further, The Healthy Back Institue submits Heal n Soothe to random 3rd party labs for testing of which it has never failed a 3rd party test and so while we do not use Organic raws our Heal n Soothe is clean and that we are proud of. 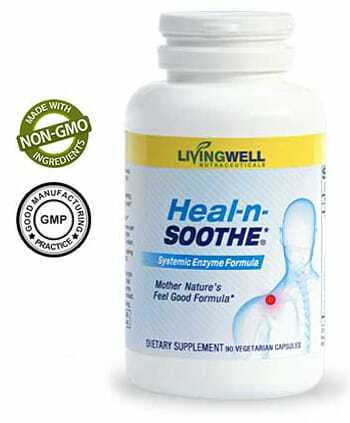 There is no Egg, Milk, Peanuts, Tree Nuts, Fish, Soy, Wheat, Crustacean ShellFish in Heal n Soothe. Heal n Soothe is Gluten Free. Heal n Soothe is Non-GMO. It is suggested that you stop the Heal n Soothe a minimum of 2 weeks before the scheduled operation. Individuals taking any prescription blood thinners like but not limited to (ie. Coumadin, Heparin, Plavix, Xeralta, Eliquis, Perdaxa, Edoxaban)... including all of the Generic version of all of these drugs, not listed. These enzymes have been shown to thin blood and when combined with any of these medications that could develop into a bleeding risk. Those with bleeding disorders such as (but not limited to) Factor VIII deficiency, von Willebrand's, and other types of Hemophilia. Individuals currently taking antibiotics should not take Heal n Soothe until you have completed taking the antibiotics, you may start the Heal n Soothe back up, 3 days after you have stopped taking the last of the antibiotics. Individuals that are allergic to pineapples, papayas or any of the ingredients listed on the Heal n Soothe label. Individuals under the age of 18, will need parents consent and supervision by their physician. Note: If you take 81 mg of Aspirin every day, that is not an absolute contra-indication, like a prescription blood thinner would be, so we have to suggest that you consult your physician on the matter as only they know your complete medical history and only they can make that determination if Heal n Soothe is appropriate for you to take or not. Note: If you take a Calcium Channel Blocker or Antihypertensive drug, the two polyphenols (namely Citrus Bioflavonoids and Rutin) could interfere with the metabolism of those drugs, they are not absolute contra-indications but you have to consult your physician on the matter. The known contraindicated drugs that restrict the use of Heal n Soothe are Antibiotics, Anti-Fibrinolytics and Blood Thinners, above and beyond those drugs, if you have questions or concerns we have to suggest to you to consult your physician as only they know your complete medical history and only then can give you a specific answer in this matter. As a rule, Heal-n-Soothe® should be taken on an empty stomach, 30 minutes before or 60 minutes after meals for best results. If you have trouble swallowing or feel the need to take with food, you may take Heal-n-Soothe® with a small amount of any non proteins like carbohydrates such as rice, a plain cracker or slice of fruit. NO, Heal-n-Soothe® contains no animal derivatives. Heal-n-Soothe® should be taken at least once per day and can be taken as often as three times per day ON AN EMPTY STOMACH. 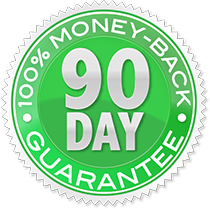 30 minutes before or 60 minutes after meals for best results with a FULL 8 oz. of water and another 8 oz. of water 15 minutes after each dose. Some people find that a single dose before bed works best. 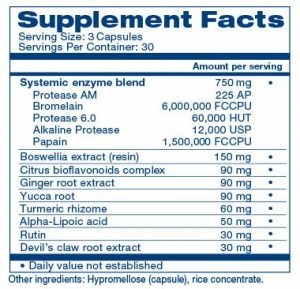 Begin by taking 2 capsules twice per day or 4 capsules once per day. If you do not feel a reduction in pain at that dosage, experiment with a higher dosage by gradually increasing the dosage by 1-2 capsules per day until you find what works best for you. Heal-n-Soothe® can and should be taken daily along with your multi-Vitamin for as long as you want to keep inflammation in check and continued support for soft tissue recovery, improved joint function and maintaining a healthy immune response as well as support to cardiovascular and respiratory function. Supplements are not a substitute for medical therapy or your prescribed medications, do not stop or change the taking of your prescribed medications unless instructed by your healthcare professional. The only known contraindicated drugs the restricts the use of Heal n Soothe are Antibiotics and Blood Thinners, above and beyond those drugs, if you have questions or concerns we have to suggest to you to consult your physician as only they know your complete medical history and only then can give you a specific answer in this matter. We can not suggest or support the use of Heal n Soothe past the expiration date on the bottle. If you choose to take the product past the expiration date you do so at your own risk. For individuals with sinus issues, you may experience some sinus or post-nasal drainage for a short time as the mucus thins and drains. For individuals with digestive issues, you may experience some gas or loosening of your stool as the stagnant and undigested proteins are broken down and eliminated. For women with Uterine Fibroids, you may experience some vaginal discharge as the Fibroid breaks down. The enzymes in Heal n Soothe are NOT enterically coated and do not need to be... Here is why, only animal based enzymes need to be enterically coated as those enzymes are more sensitive to differing pH values in the body. The enzymes in Heal n Soothe are Fruit based and Fungal based and naturally have a higher tolerance to those differing pH values in the body. 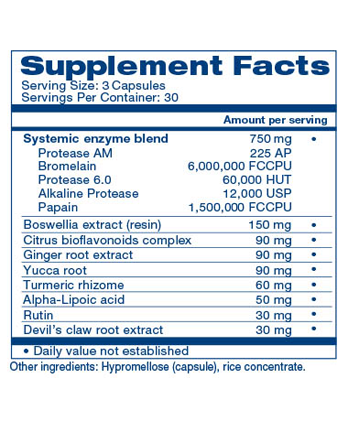 Again, the proteolytic enzymes in Heal n Soothe are not enterically coated and will never need to be coated simply because we do not use animal based pH sensitive proteolytic enzymes. 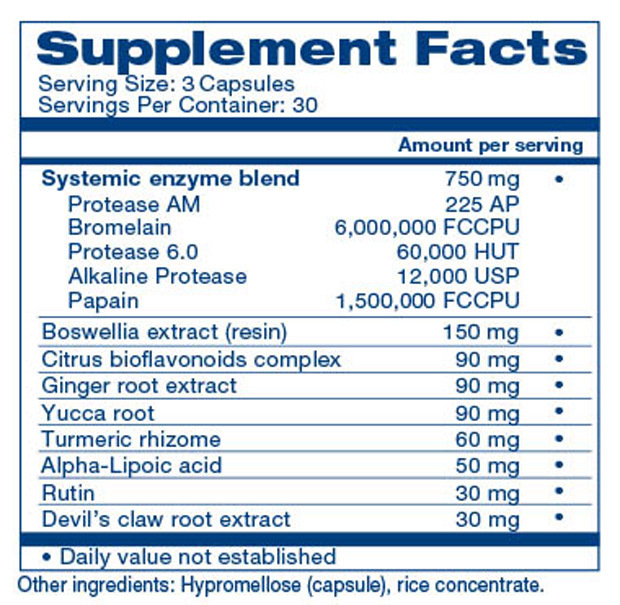 And to be 100% clear, the enzymes in Heal n Soothe are NOT destroyed by the differing pH values in the different areas of digestive tract and circulatory system. If you are pregnant, lactating, a hemophiliac, have an ulcer, are taking blood thinners or anti-coagulants (such as Coumadin, Heparin and Plavix), do not take Heal-n-Soothe without the supervision of your doctor or healthcare provider. Discontinue use 2 weeks prior to surgery. We guarantee you’ll love Heal-n-Soothe or we’ll refund your money. If you’re not happy for any reason, simply return Heal-n-Soothe within 90 days of your purchase date for a full refund, less shipping. No questions asked. Which is why we recommend you find your own personal “RIGHT” dosage of Heal-n-Soothe that’s unique to you. It’s not uncommon for people to take double or even triple the dosage that’s on the bottle. 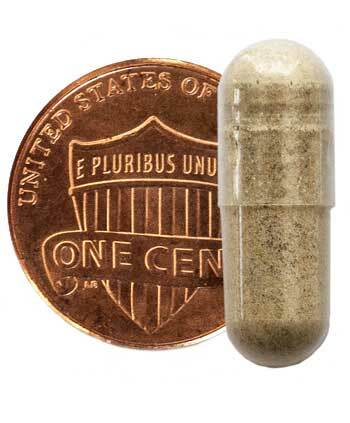 Some people, who are in severe pain or who have had surgery have been known to take in excess of 12 capsules a day. And because everyone’s situation and pain is unique, we strongly recommend that you experiment with different dosages to feel what works best for you. Use your best judgement, if you don’t feel a reduction in pain at the recommended dosage of 3 capsules, experiment with a higher dosage by gradually adding 1-2 capsules more per day until you find what works best for you.